Folder locker softwares are crying needed for everyone. Because we need to hide or lock our private files or folders. But maximum numbers of folder locker tools are not free. But recently I found a cool folder locker software which is completely free. 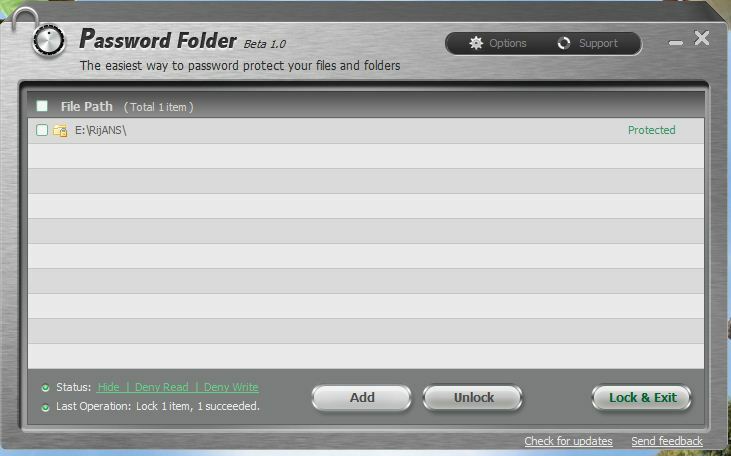 It’s also very friendly to use, very safe and very small in size.The folder locker software’s name is “Password Folder“. Password Folder tool is developed by IOBiT. It supports all windows NT versions(XP, Server 2003 & 2008, Vista, 7). Hide your desired folders, files, images, videos from others. So anyone will not able to view your locked contents event using search. You can choose from settings either it will be shown or not. After a file or folder is locked, no one will not able to access that contents. It will also prevent locked contents from being modified. Password Folder is safe and secure, without any virus, adware, and spyware. No one can change the content of your files without your permission. Lock your file and folder to be unchangeable. Keep your private data, files, pictures or videos into Password Folder, the only way to access these files is with your password. So you will be safe. No one will not able to uninstall it from your computer because when uninstalling, it will ask for password. 1. Install it on your computer and run it. At first startup it will ask you to enter your desired password for twice. So give your password and enter into it. your desired folder or file as follow. to ext. 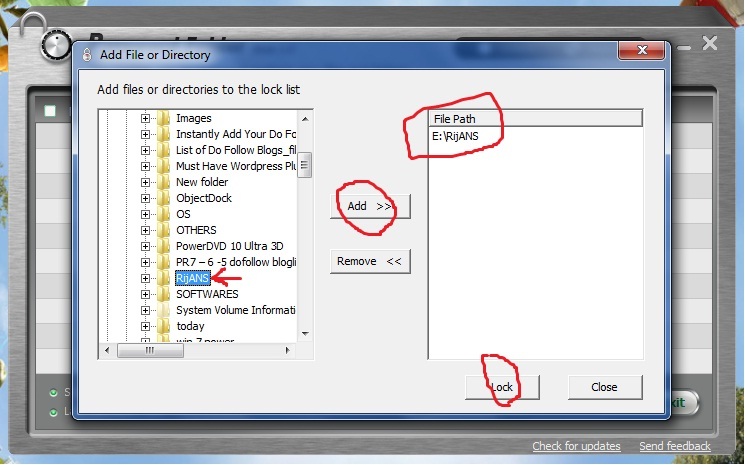 To unlock a locked file or folder, you have to enter into your software with password and unlock them.